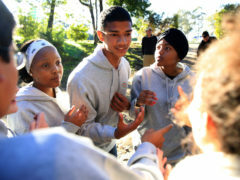 A key feature of the Allan Gray Orbis Foundation’s entrepreneurial development programmes is the cultivation of an entrepreneurial mindset. 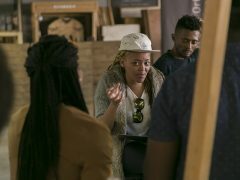 They have this in common with many other leading entrepreneurial programmes whose focus has turned from content knowledge about entrepreneurship to developing an entrepreneurial mindset. However, what is lacking across the board is a rigorous theorisation and empirical evidence of the term ‘entrepreneurial mindset’. In response to this need for rigour the Foundation launched an academic investigation into the meaning and measurement of entrepreneurial mindset. The findings of this investigation, which is available in its entirety here , revealed that an understanding of the mindset of entrepreneurs was initially rooted in the behavioural sciences and is based on decades of research within the fields of personality, cognitive and social psychology. It also became clear that multiple definitions for ‘entrepreneurial mindset’ exist, for which reason a combined or synthesised definition was proposed. 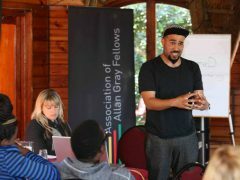 The literature on which the investigation was based also revealed that there are general themes that characterise an entrepreneurial mindset. Another finding of the investigation was that the instruments and methods for measuring entrepreneurial mindset were limited and unable to account for all its characterising themes. As a result, the investigation concluded by proposing the development of a revised measuring tool. Several aspects of the investigation are discussed in a little more detail below. The development of a shared understanding of entrepreneurial mindset. The development of a universal methodology for measuring entrepreneurial mindset. The development of an evidence-based approach for enhancing entrepreneurial mindset education theory and practice. Attempts to describe, predict and explain recurrent behaviours that set people apart from one another originated in the discipline of personality psychology. Familiar names in this field are Jung and Freud, but Allport made a particularly significant contribution to the field with his conceptualisation of personality traits in the late 1930s. Allport’s 4500 personality traits were eventually whittled down to five by researchers Costa and Macrae in the late 1970s and early 1980s. The broad traits of Neuroticism, Extraversion, Openness to Experience, Agreeableness and Conscientiousness became known as the ‘Big Five’ personality traits or Five Factor Model (FFM). The Big Five has since been used as a knowledge base to better understand mindset as well as many other sub-disciplines including everyday behaviour, physical health and psychopathology, to name a few. Researchers’ focus on personality traits eventually turned to the interpretation of traits and the habituating behaviour resulting from such traits. This research focus was broadly referred to as implicit theories, and it was proposed in 1995 that people’s implicit theories about human attributes influence the way they understand and respond to their world. In 2005 Carol Dweck redefined people’s implicit theories as their ‘mindsets’. 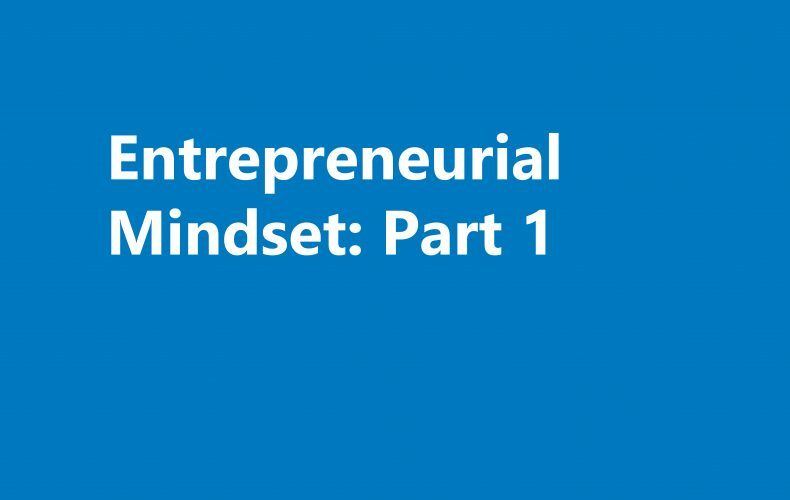 Entrepreneurial mindset relates to how a person thinks, their state of mind or the lens through which they see the world, and how this influences their propensity for entrepreneurial activities and outcomes. This state of mind or lens is influenced by multiple factors that include what people know or do not know (related to their knowledge), what people have done or have not done (related to their experience), what people can do or believe they can do (related to their level of competency and self-belief), and who they are (related to their personality, values, attitudes and beliefs ). A review of the relevant academic literature on entrepreneurial mindset revealed 11 themes that are characteristic of an entrepreneurial mindset. They are: (1) lifelong learning and openness to change; (2) engagement in a complex and uncertain world; (3) creative and innovative approaches to problem solving; (4) belief and confidence in one’s own capacity and competency to be entrepreneurial; (5) desire, motivation and intention to practice entrepreneurship and behave entrepreneurially; (6) taking initiative and personal responsibility for actions; (7) a pursuit of goal-attainment through personal mastery and value-creation; (8) recognising opportunities; (9) grit and perseverance in the face of challenges; (10) taking risks that lead to learning, growth and value; and (11) a belief in one’s ability to influence. From these 11 themes several underlying entrepreneurial mindset dimensions were also deduced. Both these dimensions and the themes they emanate from are discussed in greater detail here . The earliest attempts at measuring a propensity for entrepreneurship occurred around the early 70s and 80s with the adaptation of an instrument used to measure locus of control in psychiatric patients. Since then several studies relating to entrepreneurial mindset have used scales based on the 10-point Likert Scale survey (ranging from strongly agree to strongly disagree) or other validated scales to measure specific dimensions of entrepreneurial mindset. However, none of the existing instruments are individually able to measure all or even a significant percentage of the entrepreneurial mindset dimensions that have been identified. In addition, there is a need for developing quantitative items to measure these dimensions as the existing instruments have all made use of qualitative or mixed-method approaches. For these reasons the Foundation endeavours to develop, pilot, test and refine a revised instrument for measuring entrepreneurial mindset. The instrument will be based on the definition of entrepreneurial mindset outlined above, and it will take the form of a quantitative survey, using Likert Scale questions and possibly Semantic Differential questions. Further research and expertise will be required to refine the pilot survey and ensure that it is sufficiently valid and reliable for replication in other contexts beyond South Africa. The development of the entrepreneurial mindset survey can lead to significant opportunities for future research, both for the Foundation as well as other organisations and stakeholders.